Great news! You’ve been selected to attend the first of what you hope will be many conference events and are looking forward to spending time finding out more about your industry and getting to know some of the other people that work in and around it. You already have a list of stands that you want to visit, workshops you want to take part in and talks you want to listen to but you understand that there is one other really important element of conference events, the business networking. Attending networking events such as conferences or seminars can be a great experience but it can also be tiring trying to fit in everything you want to do and easy to miss potentially career-changing networking opportunities. We have some top networking tips that help you make sure that you use networking events to your advantage. Do your homework and find out who else is going to be attending. Exhibitor and speaker lists can help with this as can a bit of judicious social media investigation (look for event hashtags). Divide attendees into categories. Make a list of ‘must meets’, ‘like to meets’ and ‘additional extras’. Make sure you understand what you would like to get out of each connection (remembering that networking is about giving as well as receiving). Decide how many, if any, appointments you would like to result from the connections you make. At the event, keep your eyes open for previously unconsidered connections that could match your networking goals. Attend a networking event on your own. This might sound like one of the scary networking tips but it is absolutely the best way to make sure that you don’t spend the day talking to work colleagues and missing networking opportunities. Make sure that you’re comfortable. Choose an outfit that makes you feel smart but relaxed and avoid carrying too much around with you. You should also make sure that you take loo breaks and eat when you need to. To get a conversation started, ask people about themselves. Most people like self-chatter and utilising good listening skills can go a long way towards building trust. Make a point of reading nametags and remembering names. Using people’s names in conversation will help you to remember them and build more of a connection. Above all, remember that you won’t be the only nervous but eager person looking to make contacts. Be yourself and go in with a cooperative and interested attitude and the networking will flow naturally. This type of planning usually happens after someone has attended their first conference event and realised that they could have made more of their time. Common rookie mistakes such as talking too much about yourself or running out of business cards can be avoided. Take a look at our top tips for dealing with some of the most common networking situations. Think about how you’re going to deal with business cards. The first thing to remember is to take more with you than you think you will need. The next thing is to focus on getting cards rather than giving them out. Once you have someone’s contact details you have gained some control over follow up responses. Networking is a two-way process so make sure you think carefully before the event about what you or your organisation can offer other people. You may be able to link them up with useful connections or provide problem-solving expertise. Rehearse your ‘elevator pitch’. This is a persuasive speech that tells the listener what you want them to know about you and your organisation, in the time it would take for a short elevator ride. A rehearsed pitch will come back to you when you need it, even if you’re nervous about talking to people. Make time during the day to take subtle notes about whom you have met. These should include what you talked about and how you would like to follow up the connection. During a busy day with lots of networking opportunity, it can be tempting to miss this note-taking out but you’ll be surprised how easy it is to forget things and your follow up responses will be far more impressive with some key information behind them. By their very nature, initial contacts made at conference events can only be useful if you make a good job of following them up and moving them forward into working relationships. This can take time, but it will be time well spent and it is worth remembering that if you enjoy attending networking events, that good results will mean you will be chosen to represent your organisation again. If at all possible, make your follow up contact within 24 hours of the event itself. Leave it any longer and you risk the good impressions you have made slipping out of the minds of others. Effective follow up contact will be via the phone or email. Social media contacts can be important, particularly those on LinkedIn but these are also easy to ignore and might be seen as a ‘lazy’ option. In your contact make sure you mention something specific about your conversation with that person. This is where your notes will come in really useful but, if they let you down, refer to what was going on at the time, if you had both just left a keynote speech or if you chatted over lunch, a mention of these might help someone to remember you. Make sure your follow up contact does two key jobs. It should offer help of some kind as well as suggesting a time for a meet up or call. If you don’t make a contact the first time, keep an eye out for future events and find out which ones key industry figures might be attending. If you find a networking event particularly interesting, consider offering to help with event organisation next time it runs. From this inside perspective it will be much easier to be seen as ‘somebody’ and you will gain lots of additional information about attendees and networking opportunities. If you have found these networking tips for conference events useful, you might also be interested in some of our other career-related articles. With advice on topics from how to deal with authority to boosting your career, we can help you steer your career path the way you want it to go. Networking isn’t just the start; in business your ability to network and build connections is your key to progress. 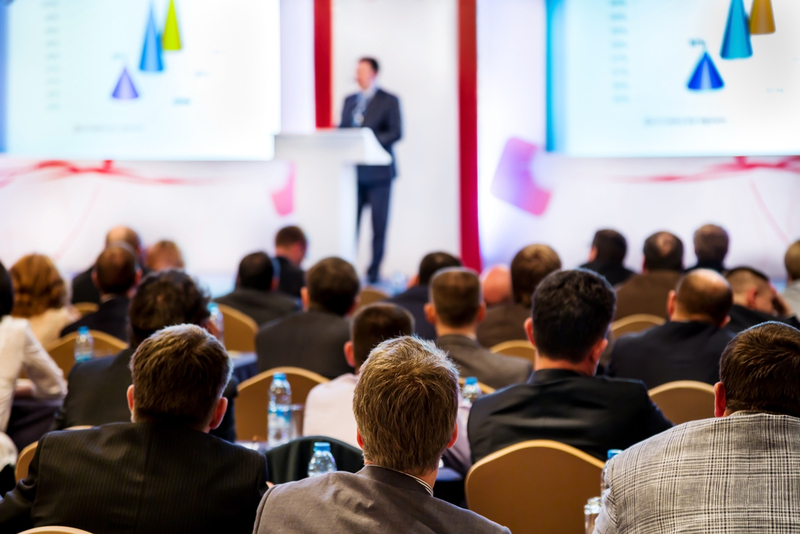 Enjoy your conference event but make sure you go in prepared to make the most of the opportunities it will offer.